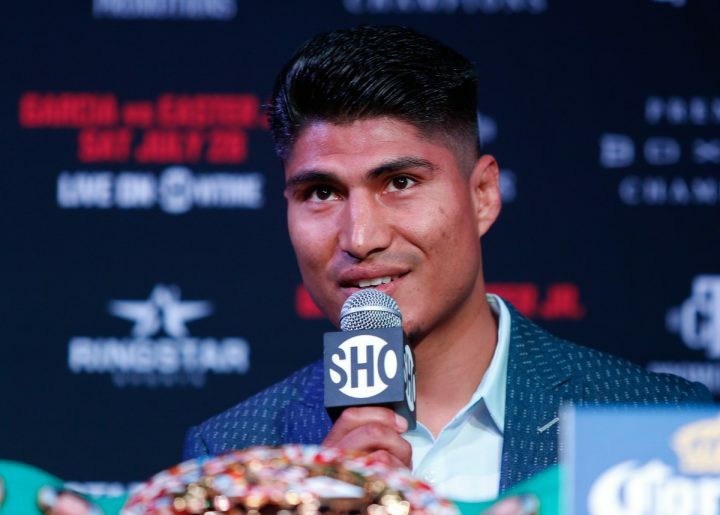 Today, FOX Sports announces four-division world champion and current WBC Lightweight Champion Mikey Garcia joins International Boxing Hall of Famer Ray “Boom Boom” Mancini and host Kate Abdo live in FOX Sports’ Los Angeles studios for coverage of FOX PBC FIGHT NIGHT: SANTA CRUZ VS. RIVERA on Thursday, Feb. 14 and Friday, Feb. 15. In addition, former three-time heavyweight champion Lennox Lewis and legendary trainer Joe Goossen join blow-by-blow announcer Kenny Albert to call FOX PBC FIGHT NIGHT live from Los Angeles on Saturday, Feb. 16 (8:00 PM ET) on FOX and streaming on the FOX Sports app. Veteran combat sports journalist Heidi Androl reports and interviews fighters, while International Boxing Hall of Famers Jimmy Lennon Jr. and Larry Hazzard Sr. join the show as ring announcer and FOX Sports PBC rules expert/unofficial scorer, respectively. On FOX Deportes, blow-by-blow announcer Adrian Garcia Marquez is joined by legendary fighters and former rivals Erik Morales and Marco Antonio Barrera to call the fights in Spanish, with reporter Jaime Motta and host Jessi Losada. FOX PBC FIGHT NIGHT features WBA Featherweight World Champion Leo “El Terremoto” Santa Cruz (35-1-1, 19 KOs) defending his title against late-replacement Rafael Rivera (26-2-2, 17 KOs). The co-feature is an exciting 10-round super lightweight clash between unbeaten former champion Omar Figueroa Jr. (27-0-1, 19 KOs) and former title-challenger John Molina Jr. (30-7, 24 KOs). The show kicks off with a battle of unbeaten super welterweight prospects as sensational Sebastian “The Towering Inferno” Fondura (11-0, 7 KOs) takes on Donnie Marshall (10-0, 6 KOs) in an eight-round match. FOX Sports PBC programming begins Thursday, Feb. 14 (3:30 PM ET) on FS2 and the FOX Sports app with the one-hour FOX PBC PRESS CONFERENCE, as host Abdo is joined by Mancini and Garcia to preview the fights on the card and interview fighters. Androl presides over the press conference. On Friday, Feb. 15, the FOX PBC WEIGH-IN SHOW is telecast on FS2, FOX Deportes and streaming on the FOX Sports app at 4:30 PM ET, with host Abdo and analysts Garcia and Mancini again on the desk, previewing the fights. Lennon Jr. hosts the weigh-ins on stage, while Androl interviews fighters onsite. Action kicks off Saturday, Feb. 16 (4:30 PM ET) on FOX and FOX Deportes with a special FOX PBC PRESS CONFERENCE featuring IBF Welterweight Champion Errol Spence (24-0, 21 KOs) and Garcia (39-0, 30 KOs) previewing their upcoming March 16 FOX Sports PBC Pay-Per-View showdown. PBC on FOX programming continues Sunday, Feb. 17 with FOX PBC FACE TO FACE: SHAWN PORTER VS. YORDENIS UGAS on FOX at 12:30 PM ET. Later that evening, FS1 PBC FACE TO FACE: ANTHONY DIRRELL VS. AVNI YILDIRIM premieres on FS1 (10:00 PM ET) and FS1 PBC COUNTDOWN: ANTHONY DIRRELL VS. AVNI YILDIRIM immediately follows on FS1 at 10:30 PM ET.